The name ‘Nissan Juke Nismo’ conjured up images in my mind of a sportscar on stilts. We all know the Juke. It has already sold 330,000 worldwide in just 18 months. Last year in the UK alone it sold 29,000, beating all its competitors including the MINI hatchback, Audi A1 and Citroen DS3. 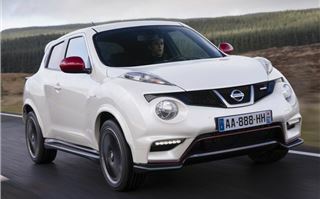 Not surprisingly, as was the case with the Qashqai, every other car manufacturer including Ford, Honda, Peugeot, Renault, Vauxhall and Volkswagen is rushing to come up with competitors to it. So now we have a performance version. Power of the 1.6 DIG-T is up from 190PS to 200PS. Wheels are up to 18” with 225/45 R18 tyres. 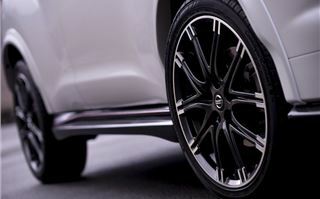 Power gets to the fronts of those wheels via a 6 speed manual transmission, or to all four via a 7 selectable ratio CVT. And in the 4WD version there’s “torque vectoring” borrowed from the Nissan GT-R to optimise handling and traction control. To allow us to check this out, Nissan rather bravely unleashed us onto the ParcMotor Castolli handling circuit in Spain, used last year for the launch of the Toyota GT-86. Except we weren’t actually allowed on the circuit. 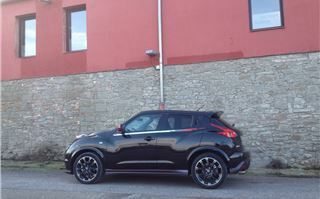 Instead, we could put a prototype higher power Juke Nismo through its paces on a course of cones in the carpark. 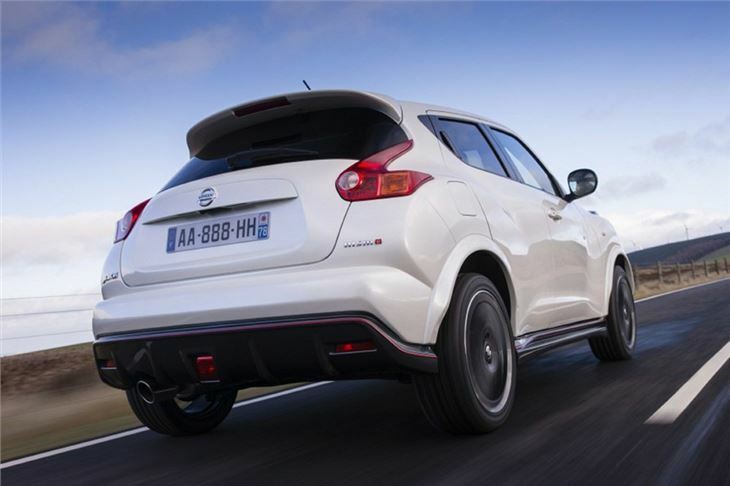 And have fun and frustration trying to drift a Juke diesel with plastic ‘slick’ rear tyres. 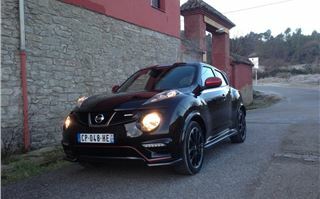 And get blasted round the track in the Juke GT-R by a friendly driver from Madrid called Lucas. Road impressions to and from the circuit are much more relevant, particularly since we hit a very strange storm of red rain on the route between the circuit and the hotel. 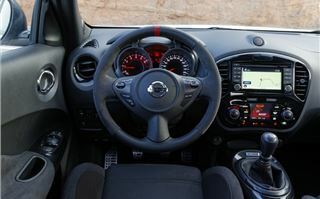 Before, I’d only ever driven the Juke DIG-T AWD CVT, the 1.6 manual and the 1.5 diesel manual. This time we were in a DIG-T front drive manual with the upgraded 200PS engine and blingy but effective 18’ wheels and Continental SportContact tyres. 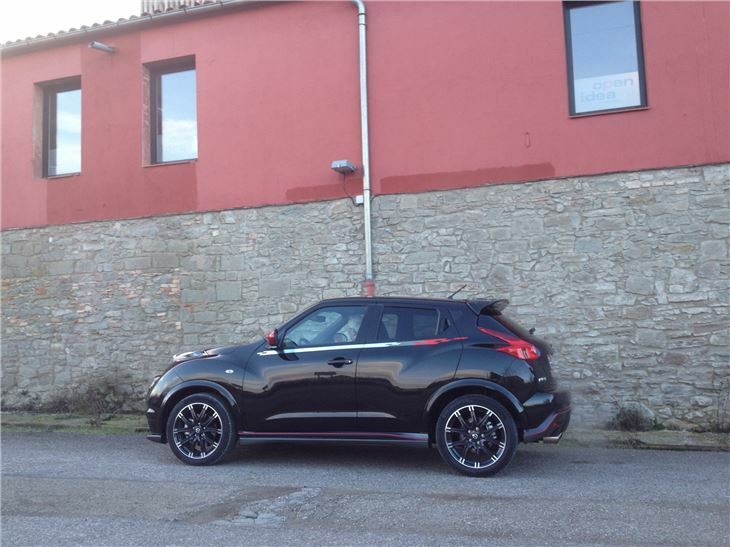 As an alternative to a MINI Cooper S, a Citroen DS3 THP 156 or an Audi A1, it makes sense. 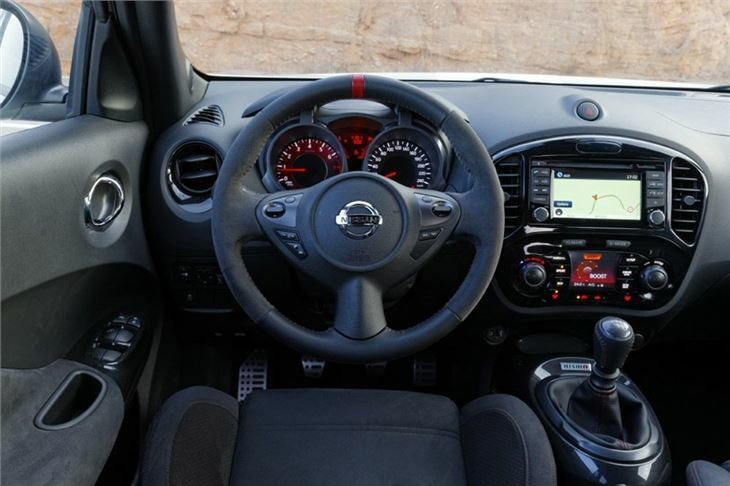 You get clingy bucket seats, an Alcantara and leather steering wheel, standard latest generation Nissan ‘Connect 2’ satnav and a general feeling of well-being. Suspension is tuned to be relatively soft, yet resist roll, a combination I strongly favour, and I was not disappointed. Steering feels connected to the road. Handling is genuinely sporty and surprisingly good, in both the dry and in torrential rain. It’s as much pleasure to drive as a Skoda Yeti 1.8TSI 160, our favourite mid-size SUV in the same sort of price bracket. 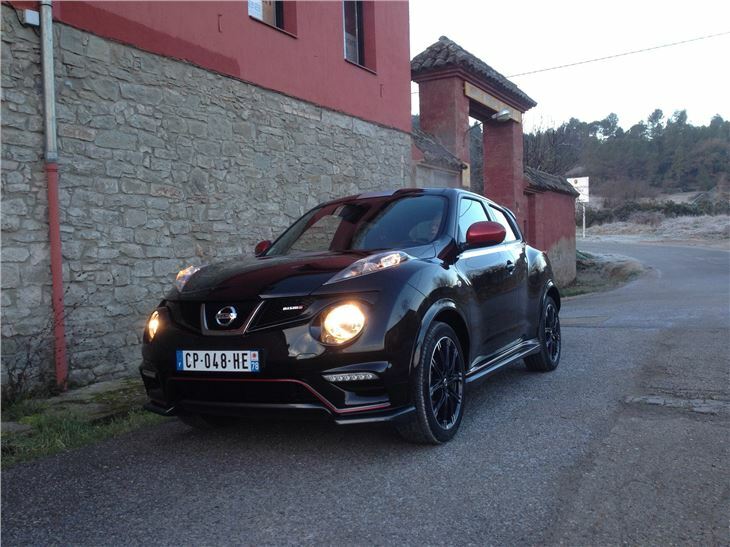 But the Juke Nismo makes a completely different statement about you. It’s SUV from the waist down, sports coupe from the waist up. And comprehensively be-spoilered around the bottom edge. It’s not practical, but it’s fun. It cruises quickly and quietly at 120kmh at 3,000rpm, so that’s 25mph per 1,000rpm. It’s reasonably economical; reasonably low CO2. And unlike a MINI or a DS3 or a 3-door A1, it’s easy to strap a pair of child seats into the back. And that’s exactly what happened. Nissan has very plainly done it again. The company doesn’t just create new niche cars. It opens up whole new markets.